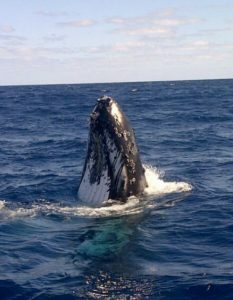 Year Round Fishing...There's No Greater Experience! Click pics to see more! Never fished before~ No problem! We're brothers, Allan and Delvin Bean, with well over 35 years of experience. 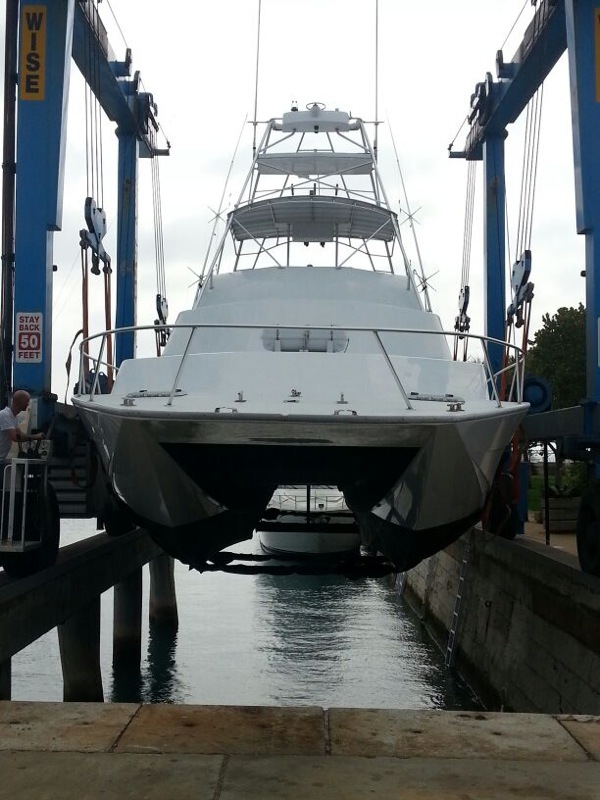 We'll carry you swiftly and safely on the fishing terrain of Bermuda. 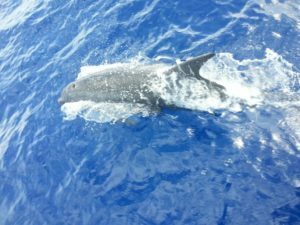 Our expertise has also allowed us to charter the oceans surrounding Florida and the Bahamas too. 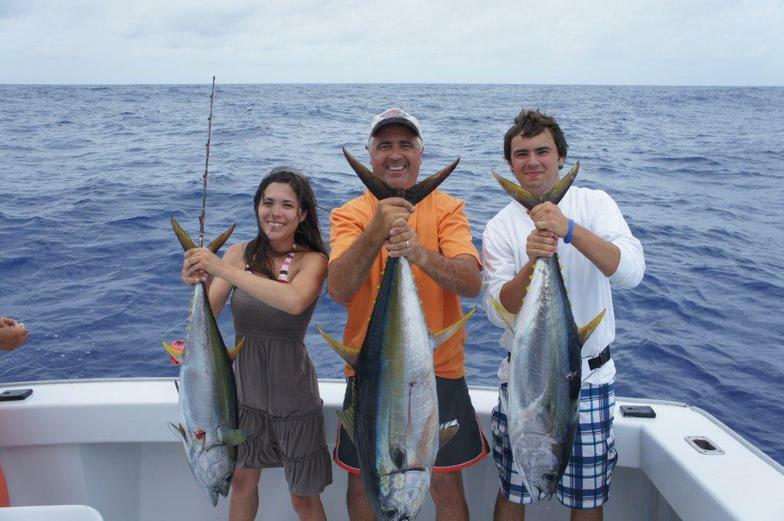 We Guarantee Family Fun in the Sun & A Thrilling Adventure on our Bermuda fishing charters! 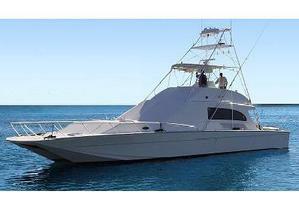 Our fabulous 54' Sports Fishing CAT is luxurious and spacious inside, and one of the fastest fishing boats in Bermuda. 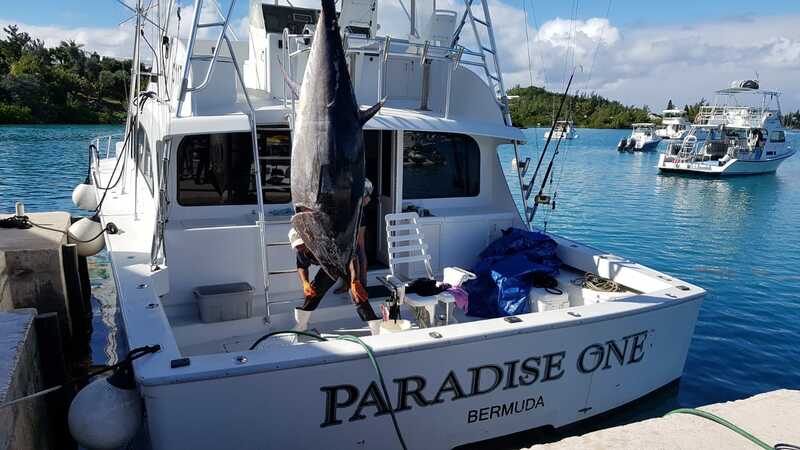 It contains 2 staterooms, 2 bathrooms, a well-equipped kitchen with a dining nook, and a comfortably spacious living/lounging area to relax in during your fishing charter. 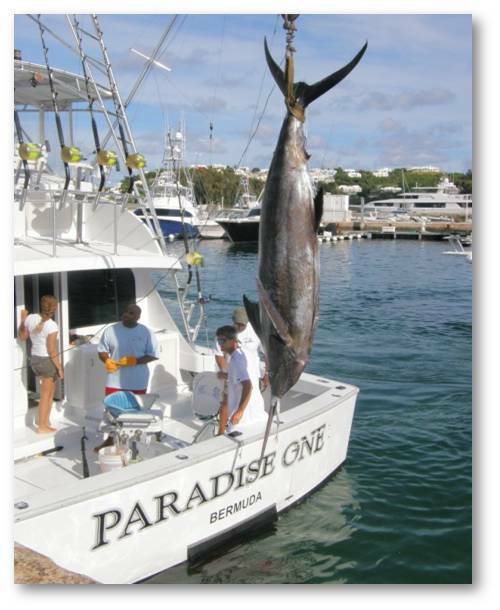 Leaving from Robinson's Marina, Somerset Bridge, we'll have you at the best fishing sites and the finest pristine reefs in Bermuda in less than 15 minutes. 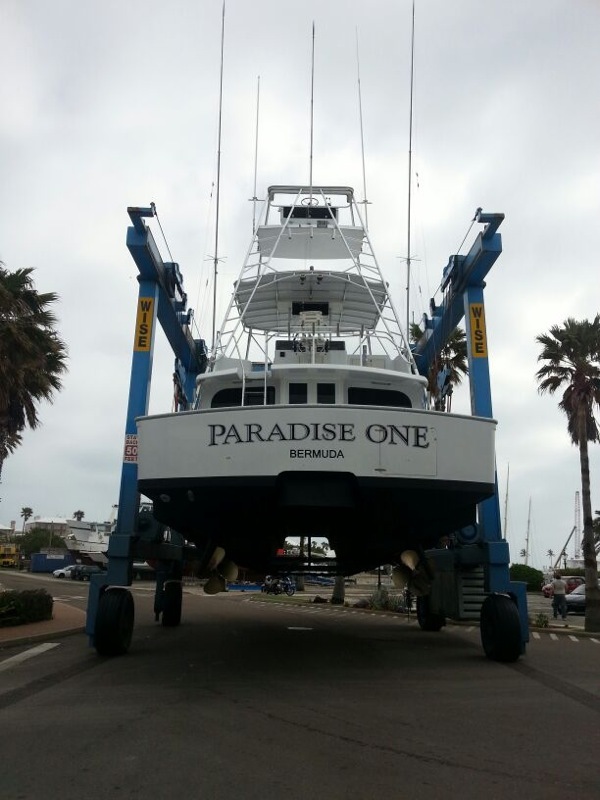 Fish the Edge, Challenger Bank or Argus Bank for Blue & White MARLIN, Yellow Fin & Black Fin TUNA, WAHOO, BARACUDA, SNAPPER, MAHI-MAHI and much more! Click your prefered link below! Call now or email us! We can help you choose the best package.